So many love Tom and Annie Pacheco and love his music. Tom has brought joy to thousands around the world aand has helped countless people and causes. The last few years have been very, very hard. Health issues have curtailed gigs, writing, recording, and internet music platforms have devastated musicians in many ways. 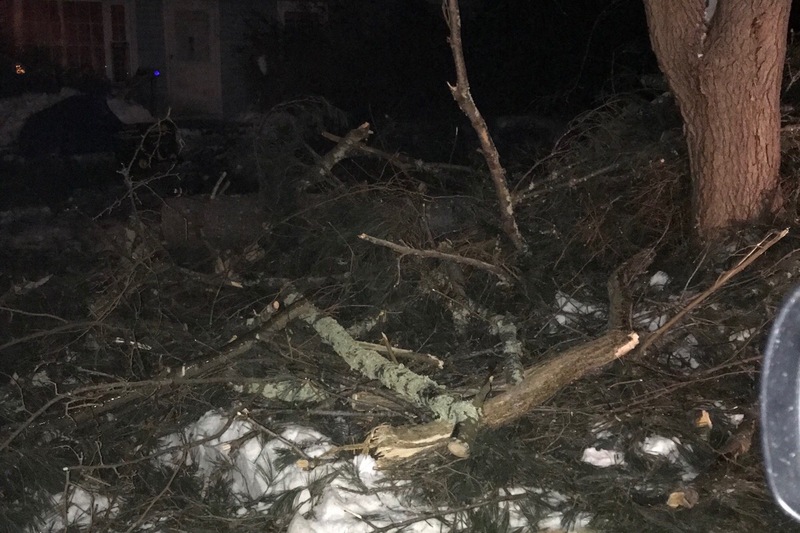 On 1/20/19, a huge tree toppled over in their yard ruining his absolutely necessary car and it created 1000s of $$ in damage. Let’s blow their minds by showing how much we care! In love and solidarity, Donna B. The way in which many have rallied to help Tom and Annie has truly been remarkable. Please know, again and again, how touched and grateful they are for everything everyone continues to do. Your love and ACTIVIST support is going a long way to help them crawl, literally, from beneath what was one of those "Oh, no !!! What in the world am I going to do now?" situations. Does anyone ever expect giant trees to come crashing down to destroy plenty, including peace of mind? Silly question, of course not ! They have said many times they don't know what they would have done without everyone's loving help. They are starting to clean up and have things return to some order, yet many things remain to be done...one step at a time. Please keep spreading the word....because....we love them ! Sorry there hasn't been an update for a while, like so many lately, I was knocked down and quite sick with bronchitis for many days. I want to thank everyone yet again for all that has been done so far. Tom and Annie are so grateful and so overwhelmed by the kindness of so many. But, as things begin to thaw, literally and figuratively, a starker reality is coming to the fore. The big tree was removed but there is a TON of debris that must be cleaned up. That's a new expense and the costs associated with this accident are eye-wateringly high. There are new and urgent problems with the well pump (and stuff, forgive me, not an expert) related to the accident that must be remedied, the crater of mud and debris that was once a driveway must have expensive attention, and on and on. Please continue to spread the word, especially those of you whom I see have many, many friends and followers on Facebook. I see that one of Tom's friends who has 1900+ friends and followers has yet to post about the campaign. Please do what you can to let as many people as you can know about Tom and Annie's situation. Happy spring to all ! Late in getting to an update about our friends, bad case of bronchitis knocked me flat for a full week. The advent of spring's arrival is nudging ahead an assessment of necessary repairs and further expenses for Tom and Annie as they try to get back on their feet so to speak. I want to emphasize again that they both are incredibly grateful and will cherish the expressions of love and support always. Tom does not have easy access to a computer so I have been showing him the campaign pages on my mobile phone so he can read everyone's loving comments. I know he has seen some of you in person, around town, and has had an opportunity to thank you in person, he has also been writing notes of thanks where and when he can. Last thing, thanks to Dawn Deevy and James Corcoran for writing letters to the Woodstock Times last week on Tom and Annie's behalf. Don't you all feel so lucky to live in such a supportive community? I sure do, and I know two others who do, too !